Hydropneumatic tanks with interchangeable membrane or expansion vessel for booster sets, easy to assemble and install. 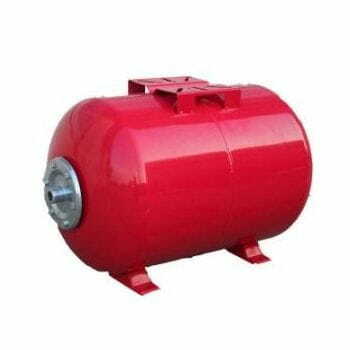 The range consists of hydropneumatictankss with body painted steel by electrophoresis, both vertical and horizontal design with threaded coupling plate. Different types of membrane for each application and need, BUTYL, EPDM and natural rubber. Twin or triple booster set with change-over device assembled on a metal baseplate and supplied with discharge manifold valves and control panel. Booster set with automatic operation controlled by the latest generation of inverter leading to significant energy savings. High-quality hydro-pneumatic tanks with fixed membrane. Ideal for the accumulation of water and expansion by pressure in hydraulic installations.